I’ve been hesitant to talk about my local greengrocers, as it’s the kind of place you sort of want to keep to yourself or only share with a few close friends. 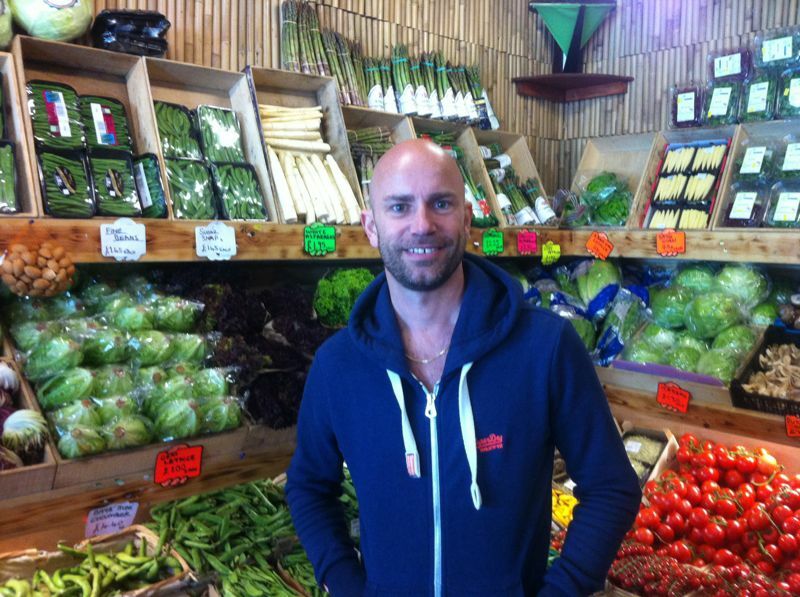 However, the excellence of Stoke Newington Fruit & Vegetables isn’t much of a secret for residents where I live. I like to eat organic and locally produced food in the greatest possible extent. For me sustainable food is a great part of the LCHF lifestyle. With a sizeable number of British, local produce (spilling out onto the pavement) the colours of the ripe vegetables is impressive. I find not only are the prices amazingly comparable to supermarket prices and often even cheaper, but the quality of the veg is superior. The produce is clearly labelled for what it is and where it’s from, which is helpful when keeping an eye on your carbon footprint food. Also, supporting my local family-owned greengrocer feels a lot better than supporting large, high street shops.